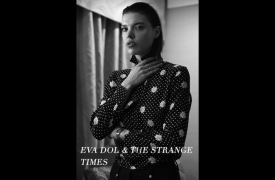 Eva Dol & The Strange Times is an Alternative band formed in Los Angeles in 2019 by vocalist Eva Doležalová and multi-instrumentalist and composer Devin Johnson. They made their debut with a single Carte Blanche that was originally made for Carte Blanche film written & directed by Eva Doležalová, score by Devin Johnson. Dario Bronco is a native of St. Louis, Missouri. 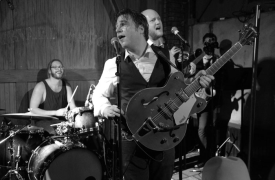 He brings that heart and spirit to his music, combining the rhythm of bands such as The Strokes and Arcade Fire, with the soul of songwriters such as Jim James and John Lennon. 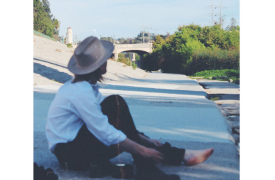 His sound however is unmistakably his own, and along with his band, brings a fresh, Southern California take on rock and roll. SUMEAU (pronounced sumō) wants you to join their cult. 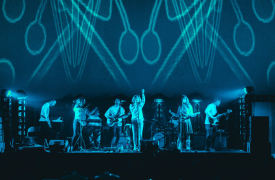 Founded by Chris Sousa ("Su) and Kat Primeau ("meau"), the LA-based dream pop band creates melodic mantras reminiscent of '60s psychedelia and surreal soundscapes of surprising simplicity and scope. Since recruiting members Molly Dworsky, Ian McAllister, Dan Macken, Julia Chalker, Harrison Lee, Alex Keenan, and George Chammas, the 9-piece has created waves of sound greater than the sum of their parts at venues such as The Satellite, SoFar Sounds, Jam In The Van and Wisdome.LA.